Winchester Cathedral is a Church of England cathedral in Winchester, Hampshire, England. It is one of the largest cathedrals in England, with the longest nave and greatest overall length of any Gothic cathedral in Europe. 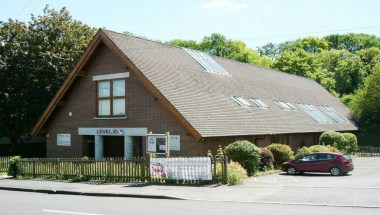 Our Conference Venues are situated in the suburb of Stanmore in Winchester. 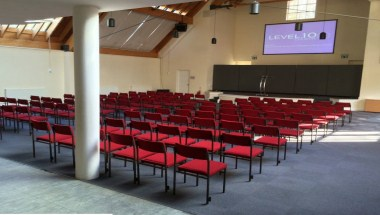 We have a Main Conference Hall which can seat approximately 220 delegates with PA system, Data Projector and Screen and free Wi-Fi available. Also a fully equipped kitchen is available and teas/coffees/lunches can be provided. 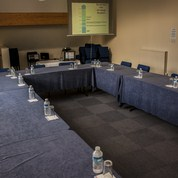 We then offer two Board Rooms upstairs, both seating maximum 50 delegates. 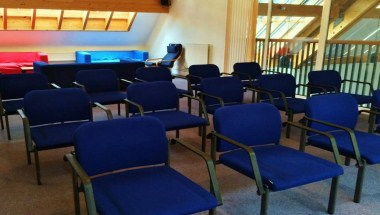 These rooms can be set up in Theatre, Board Room, Classroom or Lecture Hall style. A second fully-equipped kitchen is available and can serve teas/coffees/lunches. Board Room 1 features a back-lit projector for ease of multi-media presentations. A disabled stairlift gives access to the first floor.